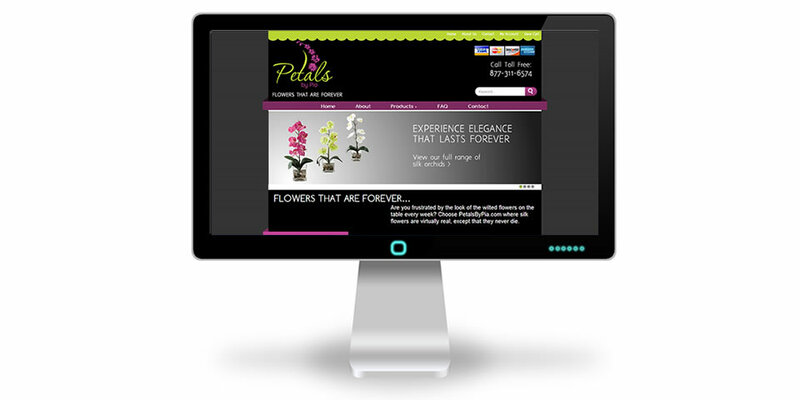 I designed and created the home page and image slideshow for Petals by Pia’s brand new online silk flower store using Volusion’s e-commerce platform. Working with the client, I aided in adding consistency through custom buttons, the about page and contact page form. Products pages and orders are self-maintained by the client.